The Russian poet Joseph Brodsky has in recent years commanded increasing attention among both Russian specialists and a wider audience interested in modern culture. In 1987 he received the Nobel Prize for Literature. This book, the first in English to be devoted entirely to him, presents a sustained and comprehensive analysis of his work to date, and offers an interpretation of his major themes: love, faith, creation, time, exile and empire. 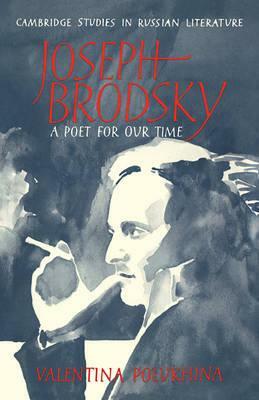 Individual poems are closely scrutinised to show the complexity and sophistication of Brodsky's ideas about perennial human problems, and the ways in which his language conveys his perception of certain values. Valentina Polukhina locates Brodsky in relation to other Russian writers from Derzhavin to Akhmatova, as well as drawing comparisons between his work and poetry in English. She also provides a comprehensive bibliography. Her book constitutes a timely study of the poetry and poetics, style and ideas of one of the most important poets of the twentieth century. Preface; Abbreviations; Transliteration; Acknowledgement; Part I. A Stepson of the Empire: 1. The generation of 1956; 2. A new pre-Gutenberg epoch; 3. The northern exile; 4. A change of empires; Part II. Longing for World Culture: 5. In defence of culture; 6. A modern descendant of classicism; 7. Elegies to the admired dead: John Donne, T. S. Eliot, W. H. Auden; Part III. The Mask of Metaphor: 8. A web of metaphors; 9. Similarity in disparity; 10. Ars est celare artem; 11. A form of identity of two versions; Part IV. Words Devouring Things: 12. Thing - Veshch; 13. Man - thing - number; 14. Man - word - spirit; 15. An intellectual and poetic tour de force; Part V. A Song of Disobedience: 16. Poet versus empire; 17. A masochistic joy; 18. Speaking into silence; Part VI. Image of Alienation: 19. A stern metaphysical realist; 20. Man against time and space; 21. Credo quia absurdum est; Notes; Bibliography; Index.